Due to over dependence on foreign tourists, the last semester of 2017 has been a challenging one for the tourism sector in Kenya. Understandably, this has been brought about by a wariness of travelling to an African country that is facing elections. Why then was it a surprise, even though every five years, the hospitality industry and every business reliant on foreign currency suffers a huge blow? Perhaps, with the visit from POTUS, Pope Francis, India’s Prime Minister, China’s President and other business tycoons, the tourism sector thought it could survive an election year. Moreover, the extended political uncertainty into November caused a huge decline in tourists from overseas vis-à-vis the same period in 2016. Examining factors affecting local tourism in Kenya, 2 words stood out; affordability and accessibility. Local tourism has been the target for many a hotelier since the 1st political upheavals in the early 1990s. Nevertheless, it has only gained momentum recently when Britain toughened its warning to citizens travelling to Kenya in 2015. The hashtag TembeaKenya has been popularized so much so that our neighbours have borrowed with #TemberuRwanda and #TurambuleUganda. Though nationalism is at the core, the idea is that there’s so much to discover, a new place, a new adventure, unimaginable beauty within your reach. It is in this spirit that the different cultural festivals have ensued. Initially an initiative to unite the different tribes, the city dwellers have created a buzz with selfies, blog posts and vlogs that trend for days on social media. Lamu Festival, Marsabit-Turkana Festival, Camel Derby and Mombasa Carnival have been beneficiaries of bucket list events in Kenya. The business model for the hoteliers has had to shift. Resident rates being up to 40% cheaper are a much more enticing offer for any Kenyan to check-in. The unusually expensive Masai Mara during the migration saw its number of visitors dwindle expectedly as most lodges receive 20% and 80% resident and non-resident guests respectively. When we interviewed the hotel manager of Olumara Camp why this is so, the major reason for such low numbers in local tourism was “poor infrastructure, forcing most tourists to the Mara to opt for flights which are quite expensive”. Will the new government of Narok County (or the central government) see this as a warning sign to cause dramatic improvements such as making the parks accessible and affordable? The Madaraka Express has proven that accessibility is obviously a huge factor for local tourism to thrive. The beach hoteliers have a broader smile than their peers in the bush albeit reducing foreign tourists that would have landed at Moi International Airport. 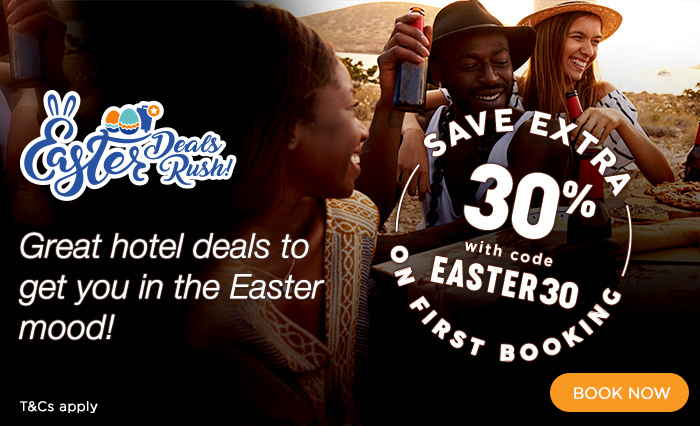 Jumia Travel’s black Friday and Christmas campaigns aimed at making local tourism affordable. However, to demystify that travelling is for the affluent few, Kenyans ought to start purposing and planning to enjoy early bird rates. Take for instance a family of five paying for a flight, accommodation, and meals for a minimum of two nights, not to mention the exorbitant park fees that range about $80 USD (Kshs. 8000) for non-residents and approximately $10 USD (Kshs. 1000) for Kenyan citizens. This will require plenty of planning, and saving especially for locals. According to a survey we recently did, a higher percentage (68%), responded that they plan less than a month ahead of their vacation. Perhaps this is the hardest habit that Kenyans need to break if they are to travel more locally. How much in advance do you usually plan your travels. To truly enjoy any vacation, plan 6 months ahead by saving up, taking leave days from work, getting the proper documentation, doing various destinations’ research through reviews on our online travel guide. This will not only build the anticipation, but also acquire relevant knowledge to relish the holiday more. The earlier the flight ticket is purchased or the lower the season, the more affordable it is. Travelling is like knowledge. The more you do, the more you realize how little you know or have seen. Make it your 2018 new year’s resolution; to travel more.